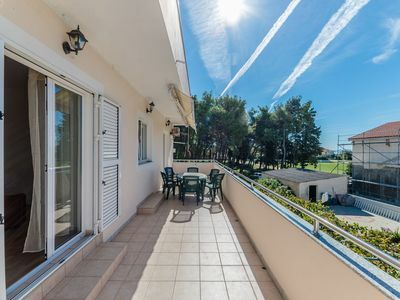 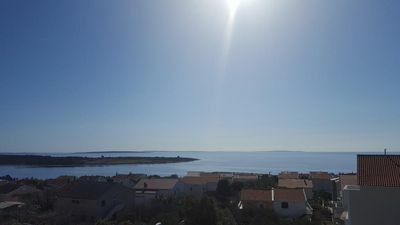 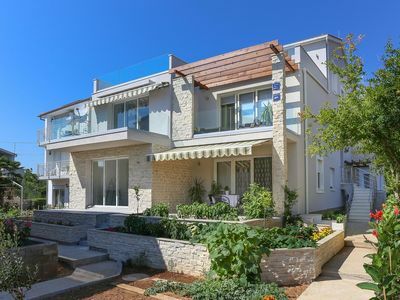 The apartments in Drage, about 10 km south of Biograd n / m, excellent place for a family holiday, just 100m from the sea and with an incredible panoramic view over the islands of Kornat, Island Pasman and place Drage with the lagoon. 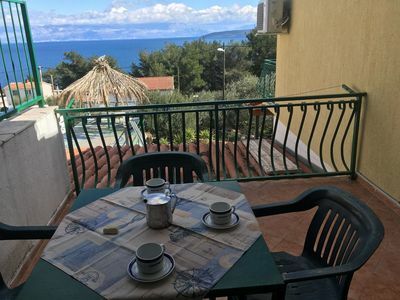 The apartment house is located on a quiet mountain, as high-altitude house at the end of a small access road, just 100 meters from the beach with stunning views. 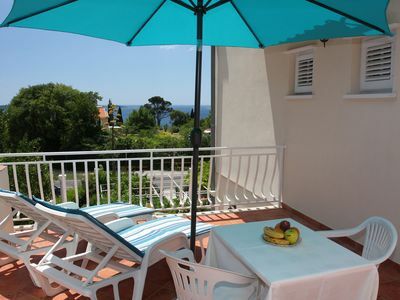 The walk to the beach leads through the pine forest to a pebble beach, which is also suitable for small children. 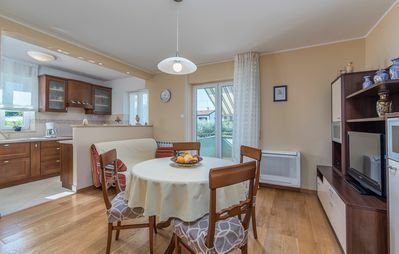 Apartment 2 for 5 persons: 9m2 area 45m2, first floor, 2 bedroom ca 12m² with standard double bed, 1 bedroom with bed 7sqm, 2 bathrooms with shower and toilet, 2 kitchens with 6m2 with dishwasher, lobby. 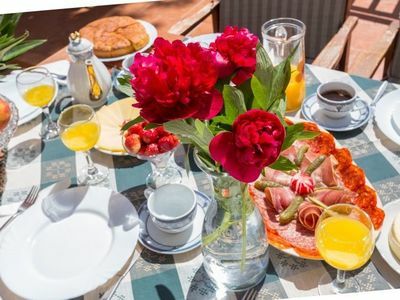 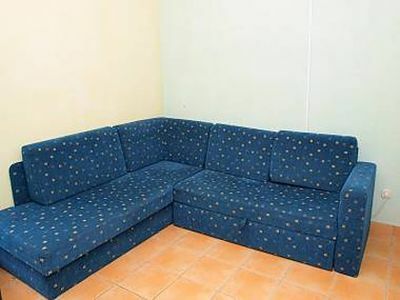 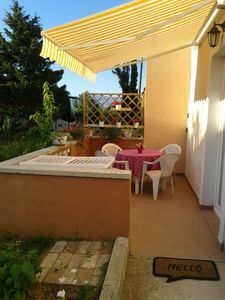 Both apartments have a comfortable terrace 35m2 (covered) equipped with table, chairs and deck chair, both with satellite TV, well-equipped kitchen, bed linen and towels are included. 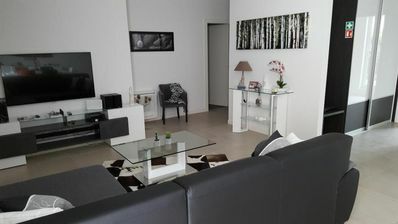 Indicated price is per apartment / night! 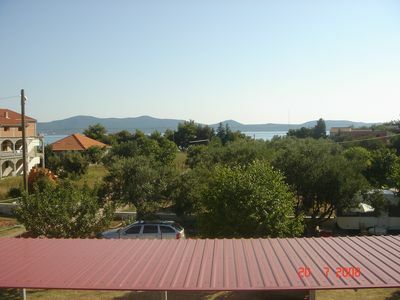 Drage is a small resort, only 10km from the town of Biograd n / m and 3km from Pakostane and 20 km from Vodice. 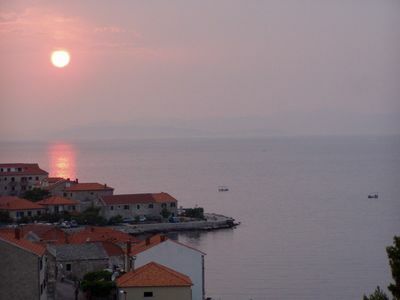 Drage is a quiet fishing village, far from the crowds and noise. 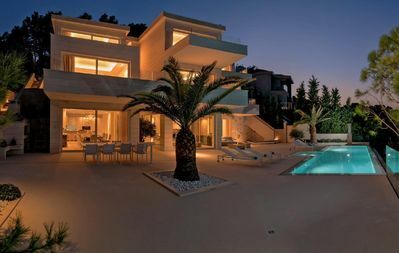 For vacationers who missed the mood of the holiday high season, but also the well-known tourist destinations on the Croatian coast are within easy reach. 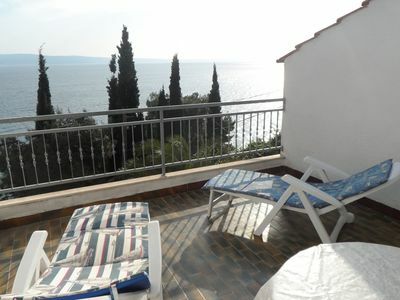 Drage itself is perfect for a relaxing family holiday. 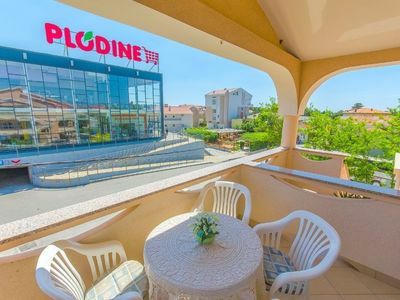 The site offers several restaurants, 2 pizzeria, 3 grocery stores, tennis and football playground. 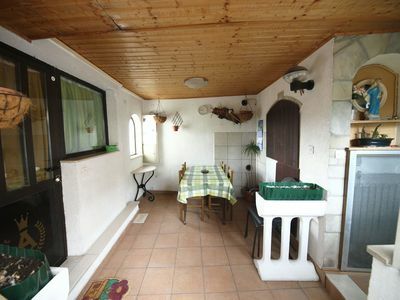 Bank, post office and pharmacy there in Pakostane, only 5 minutes away by car. 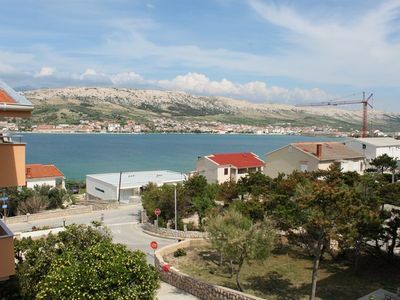 The major port of Biograd is just 10km from Drage. 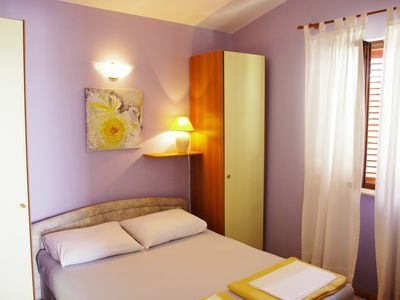 In approximately 1 km walk from Drage from accessing the lake "Vransko Jezero", a freshwater lake with large fish.